LXX – King James Only? 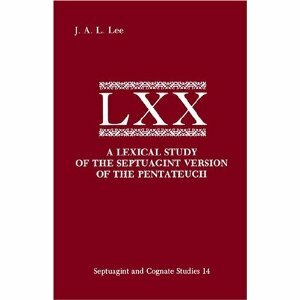 A few weeks ago we looked at the LXX. Amazingly enough, there are some KJVO’ers who deny its existence. They know that to acknowledge its existence is to open the door for Jesus and the apostles quoting from non-Hebrew scriptures as well as quoting from an imperfect translation. That would be very damaging to their cause. F.F Bruce in The Canon of Scripture gives an instance of Justin Martyr quoting from the LXX. Justin lived many years before Origen, who is alleged by some KJVO believers to have actually created the LXX. Where did Justin get his copy of the LXX, then? John Gill, in his comments on Galatians 1:10 says, “no man can serve two masters, God and the world, Christ and men. The Septuagint version of Ps 53:5 is, ‘for God hath scattered the bones’, anyrwpareskwn, “of men pleasers”, to which agree the Syriac and Arabic versions.” Gill lived before Vaticanus was made available for study, and before Sinaiticus was discovered and studied, yet Gill knew of the LXX and quoted from it. I cannot help but wonder what “doctored” manuscript Gill had access to. It seems to me that those who would deny the existence of the LXX need to examine the issue a little more.